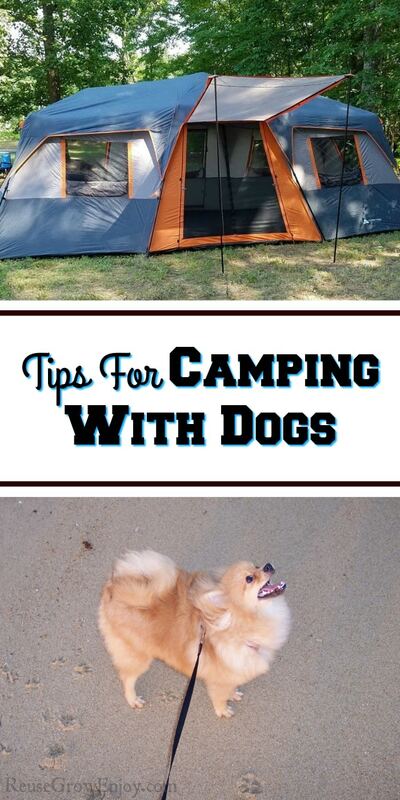 If you have a four-legged family member that you are wanting to take on a camping trip, here are some tips for you. 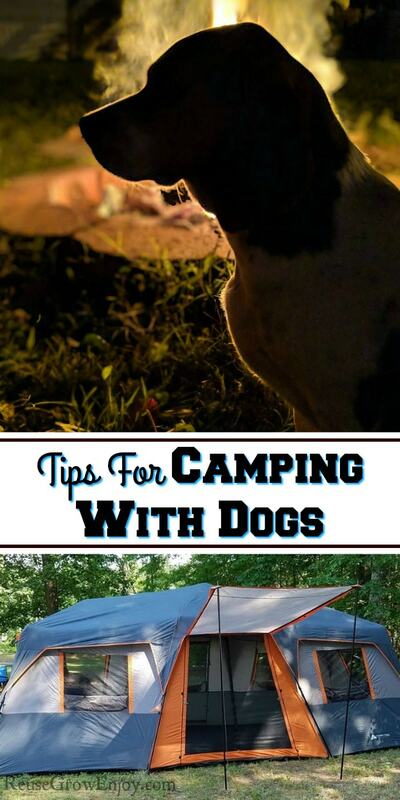 These tips for camping with dogs will allow you to enjoy your camping trip even when you bring your dogs along. If you are like me, when you have a dog it is not just a dog, it is a four-legged family member that you treat just like family. So it is only natural that when you want to go on a camping trip, you want to take your dogs with you. Camping with dogs can be a little tricky if you are not prepared. That is why it is handy to know a few tips and tricks. Bring extra treats and food for your dog. 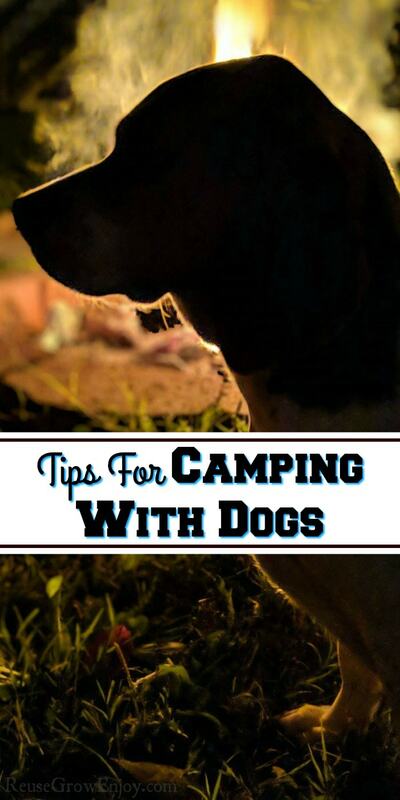 Just like people your dog will get hungry being more active on your camping trip. Packing snacks are vital to having a great trip and treats can be used to aid in dealing with behavior challenges your dog may face from the big change they are dealing with. Along with snacks pack safe drinking water for your dog. While in the wild your dog may drink any water available it is safer to offer your pet the same water you will be drinking. A water bottle designed for your dog is perfect to take with you while hiking and exploring. Even when we would travel and stay at homes or hotels I would always bring the same bottled water that our dog would drink at home. You would be surprised how much simply changing the water that your dog drinks can throw off their little tummies. Opt for a harness instead of a collar. This will give you more control should your dog have a bad day or be triggered by something like a squirrel running by. A harness is more comfortable for your dog and safer for both him and others around your campsite. While you should only take a well-trained dog on a camping trip in a public campground, even a well-trained dog will have one of those days. Being prepared with an easy to use response is always a great idea. Like grabbing a harness that is both easier to grab and will not choke your pet like a collar. If you are camping during any hunting season opt to make your dog with a bright orange vest to make them noticeable to hunters. Your dog’s safety is just as vital as yours. This will protect them from being mistaken for a wild animal by a hunter. Also when night rolls around you want to make sure they have something reflective on. That way they can be seen in the dark. There are tons of harnesses out there that also have reflective strips on them. There is also little clip-on lights you can get too. Make sure your dog’s flea and tick protection are up to date before you go on your camping trip. This is vital because your dog will be in the woods and exposed to more fleas and ticks than they would be at home. They will also be exposed to lots of mosquitoes. So make sure they are also up to date on their heartworm medication. While not all campgrounds require it, some do. It is always a good idea to bring along records when you go camping with dogs. That way if you do run into a place the needs to see them, you will have them on hand. This will help you avoid being turned away if they are needed. While you may be doing lots of exploring and hiking there will be those times when you are just relaxing at camp. If you make sure to bring something for your dog to do, it will help keep them out of trouble. Think about bringing a few of their favorite toys such as a ball to throw and something to chew on like a bone. Another great option is one of those chew toys they have to work at to get the treat out. That really helps keep them busy when you are doing things like cooking. 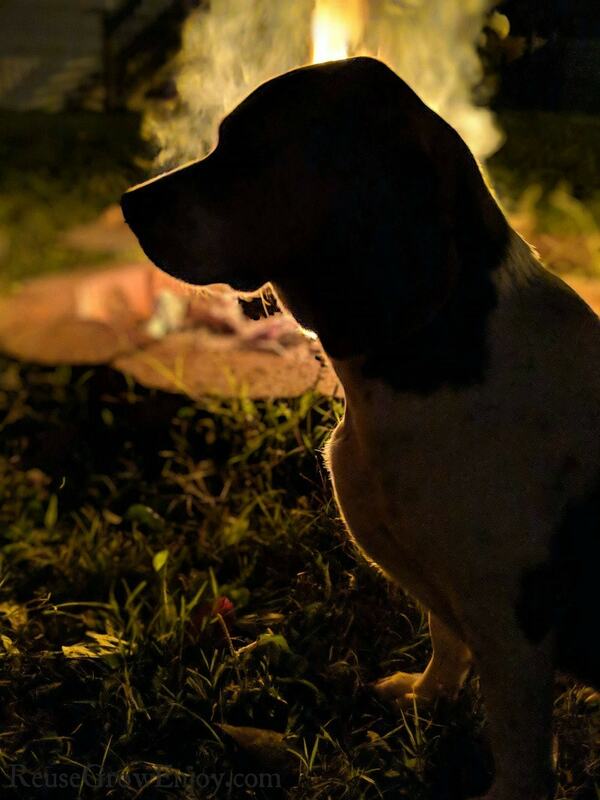 Do you have any tips and tricks for camping with dogs that you can share? Here are a few other camping tips to check out.